This article is about the number and digit 0. It is not to be confused with the letter O. Script error: No such module "redirect hatnote". Script error: No such module "redirect hatnote". Lua error in Module:Effective_protection_level at line 52: attempt to index field 'TitleBlacklist' (a nil value). Script error: No such module "For nowiki". Script error: No such module "BaseConvert". The word zero came into the English language via French zéro from Italian zero, Italian contraction of Venetian zevero form of 'Italian zefiro via ṣafira or ṣifr. In pre-Islamic time the word ṣifr (Arabic صفر) had the meaning "empty". Sifr evolved to mean zero when it was used to translate śūnya (Sanskrit: शून्य) from India. The first known English use of zero was in 1598. There are different words used for the number or concept of zero depending on the context. For the simple notion of lacking, the words nothing and none are often used. Sometimes the words nought, naught and aught are used. Several sports have specific words for zero, such as nil in association football (soccer), love in tennis and a duck in cricket. It is often called oh in the context of telephone numbers. Slang words for zero include zip, zilch, nada, and scratch. Duck egg and goose egg are also slang for zero. In AD 690, Empress Wǔ promulgated Zetian characters, one of which was "〇". The word is now used as a synonym for the number zero. Zero was not treated as a number at that time, but as a "vacant position". Qín Jiǔsháo's 1247 Mathematical Treatise in Nine Sections is the oldest surviving Chinese mathematical text using a round symbol for zero. Chinese authors had been familiar with the idea of negative numbers by the Han Dynasty (2nd century AD), as seen in The Nine Chapters on the Mathematical Art, much earlier than the 15th century when they became well-established in Europe. 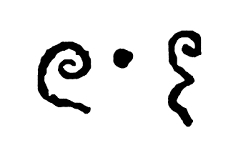 A symbol for zero, a large dot likely to be the precursor of the still-current hollow symbol, is used throughout the Bakhshali manuscript, a practical manual on arithmetic for merchants, the date of which was uncertain. 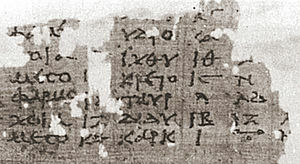 In 2017 three samples from the manuscript were shown by radiocarbon dating to come from three different centuries: from 224-383 AD, 680-779 AD, and 885-993 AD, making it the world's oldest recorded use of the zero symbol. It is not known how the birch bark fragments from different centuries that form the manuscript came to be packaged together. The rules governing the use of zero appeared for the first time in Brahmagupta's Brahmasputha Siddhanta (7th century). This work considers not only zero, but negative numbers, and the algebraic rules for the elementary operations of arithmetic with such numbers. In some instances, his rules differ from the modern standard, specifically the definition of the value of zero divided by zero as zero. 0 is the integer immediately preceding 1. Zero is an even number because it is divisible by 2 with no remainder. 0 is neither positive nor negative. By most definitions 0 is a natural number, and then the only natural number not to be positive. Zero is a number which quantifies a count or an amount of null size. In most cultures, 0 was identified before the idea of negative things, or quantities less than zero, was accepted. The number 0 is the smallest non-negative integer. The natural number following 0 is 1 and no natural number precedes 0. The number 0 may or may not be considered a natural number, but it is a whole number and hence a rational number and a real number (as well as an algebraic number and a complex number). Division: Template:Sfrac = 0, for nonzero x. But Template:Sfrac is undefined, because 0 has no multiplicative inverse (no real number multiplied by 0 produces 1), a consequence of the previous rule. Exponentiation: x0 = Template:Sfrac = 1, except that the case x = 0 may be left undefined in some contexts. For all positive real x, 0x = 0. The expression Template:Sfrac, which may be obtained in an attempt to determine the limit of an expression of the form Template:Sfrac as a result of applying the lim operator independently to both operands of the fraction, is a so-called "indeterminate form". That does not simply mean that the limit sought is necessarily undefined; rather, it means that the limit of Template:Sfrac, if it exists, must be found by another method, such as l'Hôpital's rule. Lua error in Module:Authority_control at line 445: attempt to index field 'wikibase' (a nil value). ↑ Matson, John (21 August 2009). "The Origin of Zero". Scientific American. Springer Nature. Retrieved 24 April 2016. ↑ Soanes, Catherine; Waite, Maurice; Hawker, Sara, eds. (2001). The Oxford Dictionary, Thesaurus and Wordpower Guide (Hardback) (2nd ed.). New York: Oxford University Press. ISBN 978-0-19-860373-3. ↑ "aught, Also ought" in Webster's Collegiate Dictionary (1927), Third Edition, Springfield, MA: G. & C. Merriam. ↑ "cipher", in Webster's Collegiate Dictionary (1927), Third Edition, Springfield, MA: G. & C. Merriam. ↑ Ifrah, Georges (2000). The Universal History of Numbers: From Prehistory to the Invention of the Computer. Wiley. ISBN 978-0-471-39340-5. ↑ 'Aught' definition, Dictionary.com – Retrieved April 2013. ↑ 'Aught' synonyms, Thesaurus.com – Retrieved April 2013. ↑ Joseph, George Gheverghese (2011). The Crest of the Peacock: Non-European Roots of Mathematics (Third Edition). Princeton. p. 86. ISBN 978-0-691-13526-7. ↑ 13.0 13.1 Kaplan, Robert. (2000). The Nothing That Is: A Natural History of Zero. Oxford: Oxford University Press. ↑ Mortaigne, Véronique (November 28, 2014). "The golden age of Mayan civilisation – exhibition review". The Guardian. Archived from the original on 28 November 2014. Retrieved October 10, 2015. ↑ Wallin, Nils-Bertil (19 November 2002). "The History of Zero". YaleGlobal online. The Whitney and Betty Macmillan Center for International and Area Studies at Yale. Archived from the original on 25 August 2016. Retrieved 1 September 2016. ↑ O'Connor, John J.; Robertson, Edmund F., "A history of Zero", MacTutor History of Mathematics archive, University of St Andrews . ↑ "Zero and Fractions". Know the Romans. Retrieved 21 September 2016. ↑ 19.0 19.1 Hodgkin, Luke (2 June 2005). A History of Mathematics : From Mesopotamia to Modernity: From Mesopotamia to Modernity. Oxford University Press. p. 85. ISBN 978-0-19-152383-0. ↑ Crossley, Lun. 1999, p.12 "the ancient Chinese system is a place notation system"
↑ 22.0 22.1 "Mathematics in the Near and Far East" (pdf). grmath4.phpnet.us. p. 262. ↑ Struik, Dirk J. (1987). A Concise History of Mathematics. New York: Dover Publications. pp. 32–33. "In these matrices we find negative numbers, which appear here for the first time in history." ↑ Kim Plofker (2009). Mathematics in India. Princeton University Press. pp. 55–56. ISBN 978-0-691-12067-6. ↑ Vaman Shivaram Apte (1970). Sanskrit Prosody and Important Literary and Geographical Names in the Ancient History of India. Motilal Banarsidass. pp. 648–649. ISBN 978-81-208-0045-8. ↑ "Math for Poets and Drummers" (pdf). people.sju.edu. ↑ Kim Plofker (2009), Mathematics in India, Princeton University Press, ISBN 978-0691120676, page 54–56. Quote – "In the Chandah-sutra of Pingala, dating perhaps the third or second century BC, [...] Pingala's use of a zero symbol [śūnya] as a marker seems to be the first known explicit reference to zero." Kim Plofker (2009), Mathematics in India, Princeton University Press, ISBN 978-0691120676, 55–56. "In the Chandah-sutra of Pingala, dating perhaps the third or second century BC, there are five questions concerning the possible meters for any value “n”. [...] The answer is (2)7 = 128, as expected, but instead of seven doublings, the process (explained by the sutra) required only three doublings and two squarings – a handy time saver where “n” is large. Pingala’s use of a zero symbol as a marker seems to be the first known explicit reference to zero. ↑ Weiss, Ittay (20 September 2017). "Nothing matters: How India's invention of zero helped create modern mathematics". The Conversation. ↑ Revell, Timothy (2017-09-14). "History of zero pushed back 500 years by ancient Indian text". New Scientist. Retrieved 2017-10-25. ↑ "Carbon dating finds Bakhshali manuscript contains oldest recorded origins of the symbol 'zero'". Bodleian Library. 2017-09-14. Retrieved 2017-10-25. ↑ 33.0 33.1 Aryabhatiya of Aryabhata, translated by Walter Eugene Clark. ↑ O'Connor, Robertson, J.J., E.F. "Aryabhata the Elder". School of Mathematics and Statistics University of St Andrews, Scotland. Retrieved 26 May 2013. ↑ William L. Hosch, ed. (15 August 2010). The Britannica Guide to Numbers and Measurement (Math Explained). books.google.com.my. The Rosen Publishing Group. pp. 97–98. ISBN 9781615301089. ↑ Cœdès, Georges, "A propos de l'origine des chiffres arabes," Bulletin of the School of Oriental Studies, University of London, Vol. 6, No. 2, 1931, pp. 323–328. Diller, Anthony, "New Zeros and Old Khmer," The Mon-Khmer Studies Journal, Vol. 25, 1996, pp. 125–132. ↑ Casselman, Bill. "All for Nought". ams.org. University of British Columbia), American Mathematical Society. ↑ Ifrah, Georges (2000), p. 400. ↑ "Much ado about nothing: ancient Indian text contains earliest zero symbol". The Guardian. Retrieved 2017-09-14. ↑ Pannekoek, A. (1961). A History of Astronomy. George Allen & Unwin. p. 165. ↑ 43.0 43.1 43.2 Will Durant (1950), The Story of Civilization, Volume 4, The Age of Faith: Constantine to Dante – A.D. 325–1300, Simon & Schuster, ISBN 978-0965000758, p. 241, Quote = "The Arabic inheritance of science was overwhelmingly Greek, but Hindu influences ranked next. In 773, at Mansur's behest, translations were made of the Siddhantas – Indian astronomical treatises dating as far back as 425 BC; these versions may have the vehicle through which the "Arabic" numerals and the zero were brought from India into Islam. In 813, al-Khwarizmi used the Hindu numerals in his astronomical tables." ↑ Will Durant (1950), The Story of Civilization, Volume 4, The Age of Faith, Simon & Schuster, ISBN 978-0965000758, p. 241, Quote = "In 976, Muhammad ibn Ahmad, in his Keys of the Sciences, remarked that if, in a calculation, no number appears in the place of tens, a little circle should be used "to keep the rows". This circle the Mosloems called ṣifr, "empty" whence our cipher." ↑ Sigler, L., Fibonacci's Liber Abaci. English translation, Springer, 2003. ↑ Grimm, R.E., "The Autobiography of Leonardo Pisano", Fibonacci Quarterly 11/1 (February 1973), pp. 99–104. ↑ Lemma B.2.2, The integer 0 is even and is not odd, in Penner, Robert C. (1999). Discrete Mathematics: Proof Techniques and Mathematical Structures. World Scientific. p. 34. ISBN 978-981-02-4088-2. ↑ W., Weisstein, Eric. "Zero". mathworld.wolfram.com. Retrieved 2018-04-04. ↑ Reid, Constance (1992). From zero to infinity: what makes numbers interesting (4th ed.). Mathematical Association of America. p. 23. ISBN 978-0-88385-505-8. ↑ Wu, X.; Ichikawa, T.; Cercone, N. (1996-10-25). Knowledge-Base Assisted Database Retrieval Systems. World Scientific. ISBN 9789814501750. ↑ Chris Woodford 2006, p. 9. ↑ Paul DuBois. "MySQL Cookbook: Solutions for Database Developers and Administrators" 2014. p. 204. ↑ 58.0 58.1 Bemer, R. W. (1967). "Towards standards for handwritten zero and oh: much ado about nothing (and a letter), or a partial dossier on distinguishing between handwritten zero and oh". Communications of the ACM. 10 (8): 513–518. Bibcode:1985CACM...28...22S. doi:10.1145/363534.363563. ↑ Steel, Duncan (2000). Marking time: the epic quest to invent the perfect calendar. John Wiley & Sons. p. 113. ISBN 978-0-471-29827-4. In the B.C./A.D. scheme there is no year zero. After 31 December 1 BC came AD 1 January 1. ... If you object to that no-year-zero scheme, then don't use it: use the astronomer's counting scheme, with negative year numbers. This page was last modified on 25 August 2018, at 03:23.